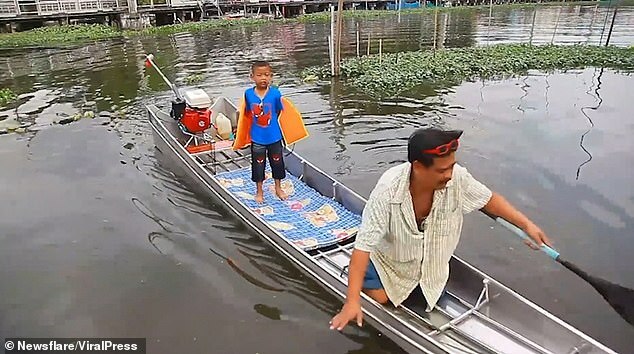 Bangkok has an extensive network of waterways, but one boy has started using them a little too young. 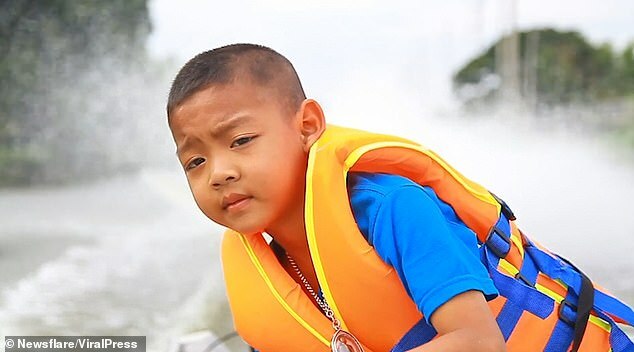 Five-year-old Tanadet Petnoi from Thailand’s Samut Prakan is an ordinary child with a not-so-ordinary life. To beat the traffic on his way to school, Petnoi drives a boat through canals rather than taking the conventional routes. His father, 25-year-old Banpot, is often a passenger on the boat. Apart from starting the engine, Petnoi single-handedly runs the operations: controlling the rudder and steering the boat. Bangkok has an extensive waterways network, which has earned it the nickname” Venice of the East”. “It is very good exercise and good for people to learn to do this. My father is very careful and I have to learn more about safety,” Daily Mail quoted Petnoi as saying.